Hi Crafty Friends! It’s Wednesday so that means it’s time for another Cricut Cardz Challenge card! 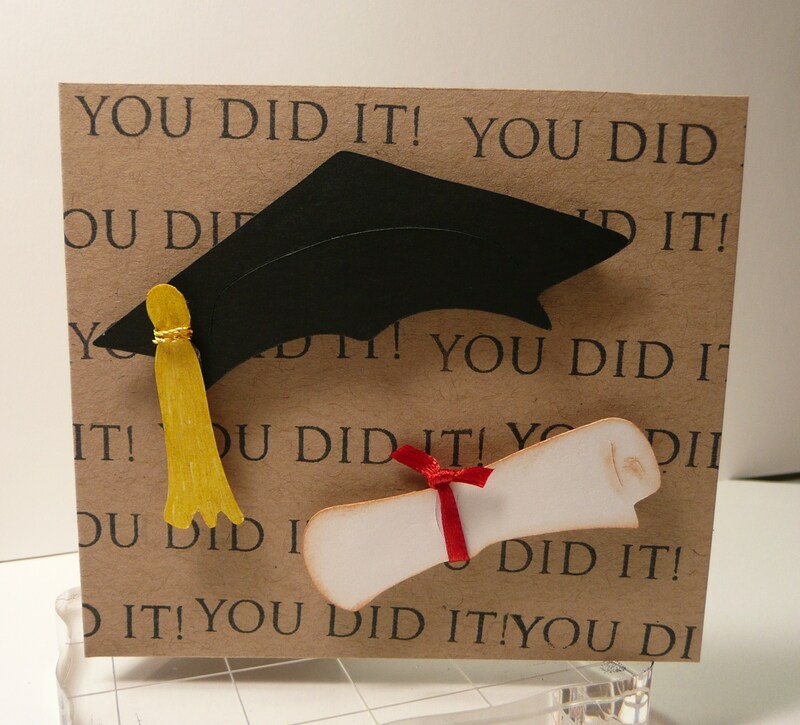 This weeks challenge is to make a Graduation card. You can use any cartridges and colors you’d like. I really like how my card came out and hope you like it too! I think it would be perfect for a guy or girl Graduate of any age. If you look close you can see three little rhinestones. Be sure to come on over to CCC and join the fun! There’s a monthly prize up for grabs! I’m also entering this card into CAS-ual Friday’s Challenge #3. The challenge over there is to use Bling! I hope you can check out this challenge site too, it’s new and lot’s of fun! I used the Just Because cartridge to cut the labels. Hello! Tonight’s card was made for my boyfriend’s brother. He had his 8th grade Promotion this evening. We are very proud of him and wish him the best in High School next year! Since this card was for a guy, I made it simple but added some spark! I think it turned out great! The card measures 4×4. 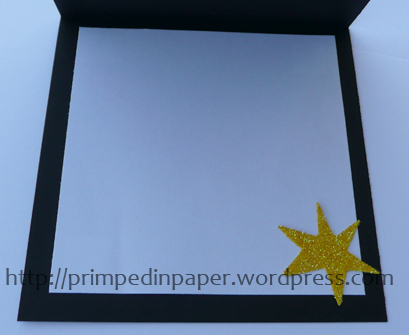 The stars are from the Cricut carts, Accent Essentials and Platin Schoolbook. The sentiment stamp is from Inkadinkado. I entered this card into the Made by Momo Tuesday Challenge. Check it out for some challenge fun! Thank you so much for stopping by, I hope you enjoyed my card. Congrats to the 8th Grade Graduate! Added spark and shine make this simple card fun! 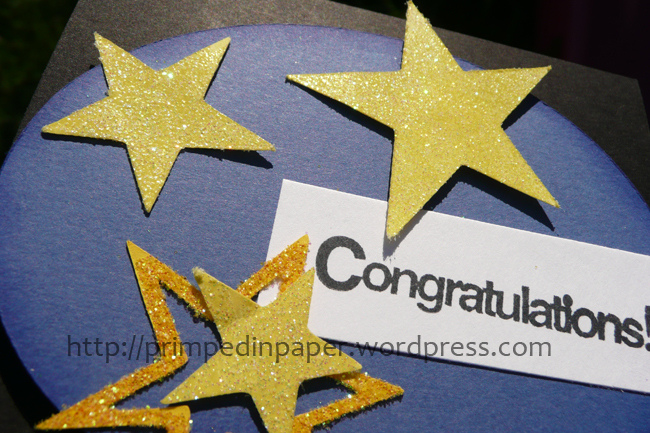 Inside the card I added a piece of white cardstock and a star. 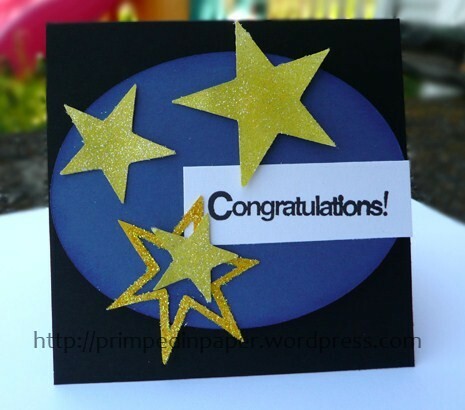 I made this card for the Paper Cutz Challenge #39. This is my first time participating and I had a lot of fun with it. This weeks challenge was to make a project for a graduation. I decided to make a 4×4 card for a graduate. 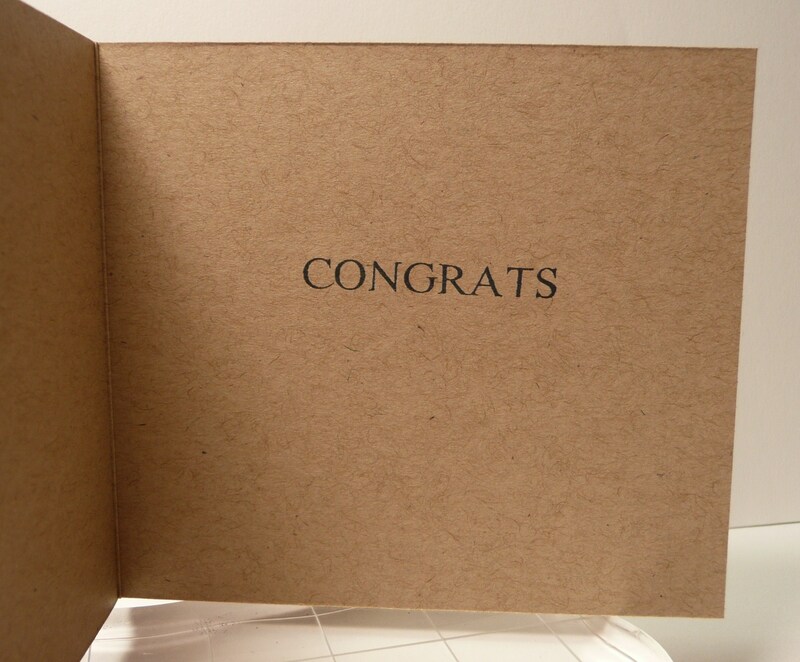 The card base is made with Bazzill Kraft cardstock. For the elements, I used my Everday Paper Dolls cartridge and a sentiment stamp from Hero Arts. I added gold cord to the tassel and red ribbon to the diploma. 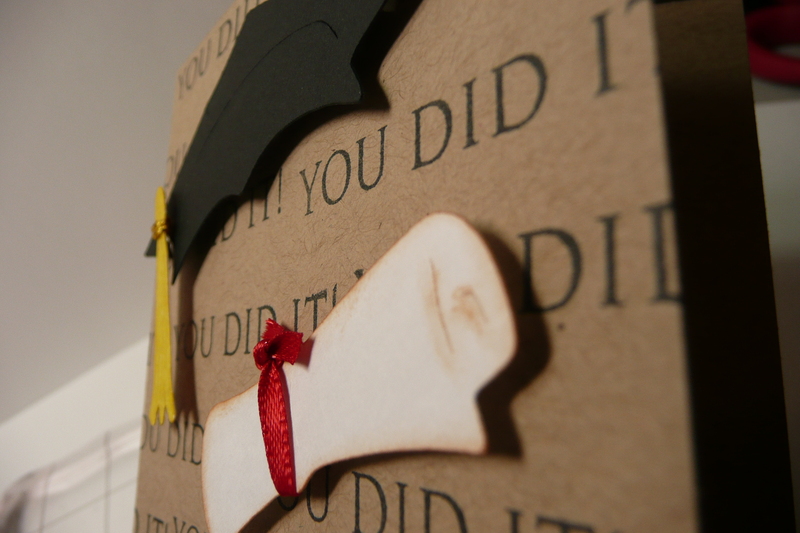 Then I adhered the cap and diploma to the card base using pop-dots. I highly recommend participating over there. Be sure to click the link above to check out Paper Cutz Challenge. Thanks for stopping by and checking out my cards! I added pop-dots for added dimension.